Saab owner Spyker reported a net loss of 39.9 million euros compared with a 4.06 million-euro deficit a year earlier. 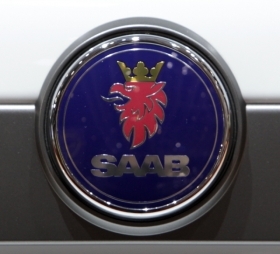 Saab's production target for 2010 was cut to 30,000 to 35,000 cars from a plan in August to build 45,000 vehicles. That is down from an original goal of making 50,000 cars this year. Spyker said the unit has needed longer than expected to recover from the plant shutdown and start of liquidation proceedings early this year. The company also reiterated a goal of selling 80,000 cars in 2011.